It's getting tiresome. 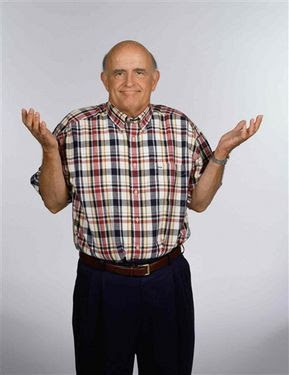 Peter Boyle, well known for, and great in "Everybody Loves Raymond", "Young Frankenstein" and incredibly under-rated in "Johnny Dangerously" (he played the boss of Michael Keaton's family who survives an attempt on his life, and mistakes the toilet handle for his privates) as well as a number of other films and plays died yesterday in NY. Reaper- you have Knotts, Kirby, Palance, Weaver, Warden and now Boyle- will your thirst for character actors ever be quelled? Orbach's death is probably what hooked the reaper in the first place. Sweet, sweet Orbach- RIP. I once got into a cab cab that Orcbach was getting out of. The back seat was clean enough to eat off of.